Yesterday the world watched in awe as white smoke plumed from the chimney at the Vatican in Rome. A little over an hour later, a simple man dressed in white emerged from red curtains to greet the people waiting below. Who was the new Pope, where was he from and what would his new position mean for not only the Catholic faithful but to the world. Jorge Mario Bergoglio was voted to become the new head of the Catholic Church and with a light heart and a request for prayers, he became a household name. One area of the world that was likely a bit more excited than those holding vigil in Saint Peter's Square in Vatican City were the citizens of Bergoglio's hometown, Buenos Aires. Let's take a closer look at the magical city in Argentina that brings us Carnival, beautiful people, breathtaking city streets and now the newest Pope. Buenos Aires is not only the capital of Argentina, but also the largest city. Known to attract tourists with it's incredible food, fashionable citizens and cultural interest, Buenos Aires has a wide variety of attractions that will surely capture the hearts and minds of many different travelers. Museums, parks, touring historical landmarks and shopping are all fabulous ways to spend your days in this sizzling city. Walk along the charming city streets and enjoy the welcoming personality that the metro area radiates. But while the sunny days will surely be fun, the hot Argentinian nights are what really captivates. Go to clubs to dance the tango, or hit the bars for a taste of the exquisite wine from the region. 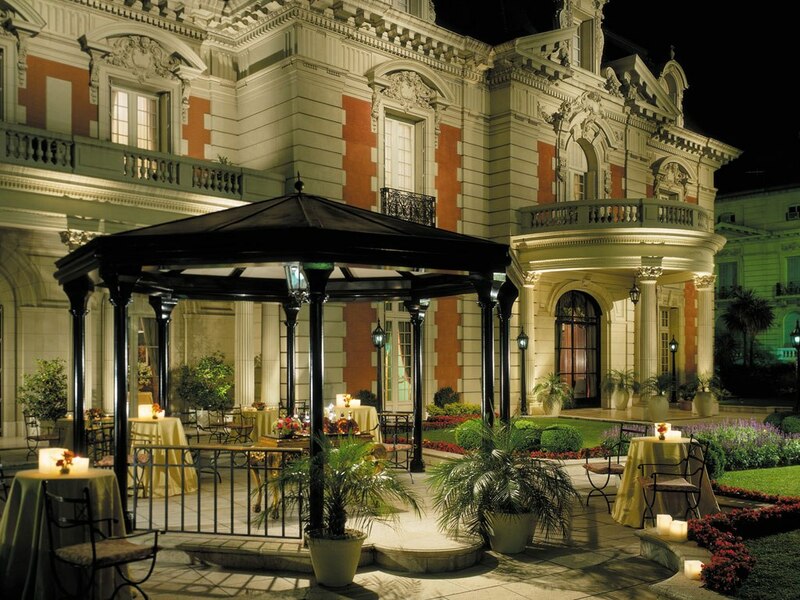 It is guaranteed that the nighttime in Buenos Aires is a "do not miss" experience. During your time in this spectacular city, you might find yourself overwhelmed at the number of impressive hotels in the city. WhatAHotel! would love to help you narrow down the long list of top-notch stays to find the perfect place for you and your travel companion. 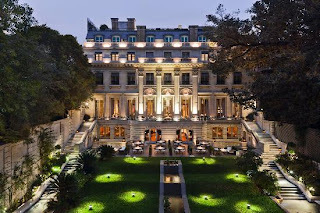 Our first luxury hotel is the phenomenal Four Seasons Hotel Buenos Aires. 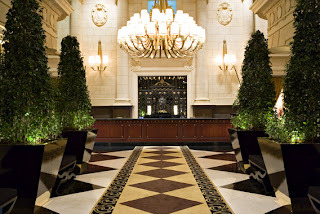 Situated in the heart of this upscale city, Four Seasons has exceptional rooms and seven gorgeous suites. Visit the hotel's spa for a treatment that will rejuvenate or head to the pool for a relaxing afternoon in the sun. 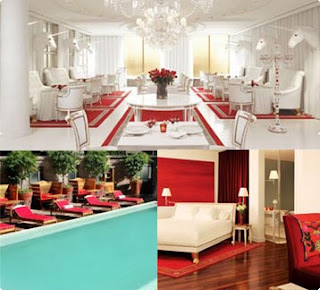 The restaurant and lounges here are chic and offer only the finest food and drink. This stunning hotel mimics the fashionable aura of the city that surrounds it. 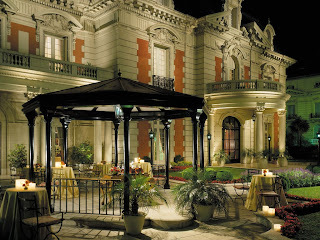 Another amazing hotel that calls Buenos Aires home is the old meets new Alvear Palace Hotel. Modern amenities are beautifully combined with Empire, Louis XV and Louis XVI styles. Although traditional, the hotel is not stuffy. It portrays a light and airy feel that will leave guests breathless. The rich and regal interiors are a continuous theme from the lobby, to the rooms and also the restaurants, bar and cigar bar. The Alvear Palace Spa and Fitness Center entice guests to unwind in their state-of-the-art facilities. No amenity has been overlooked in this sophisticated hotel that fits in perfectly with the magnificent city of Buenos Aires. Buenos Aires has a large group of citizens that are Roman Catholic, so although some around the world were shocked at the appointment of a non-European Pope, the South American people were no doubt thinking, "it's about time". The proud citizens of Argentina are thrilled to share their culture, their traditions and their religion with the world. So if heading to the hometown of the newest Pope sounds like an adventure that you can't wait to enjoy, check in at any of the Best Hotels in Buenos Aires and maybe find what makes the people in the city so happy to live here. Three Peninsula Hotels Find Fame in the U.S.